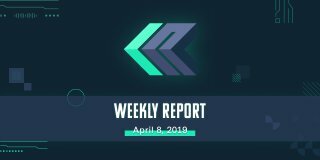 In this Weekly we have an article on a new Elastos Foundation team called, “The Developer Experience Team”, a unique reward system called the “Sword Method” proposed by Supernode Candidate Enter Elastos, a Suggestions Highlight for a project called “Arkane”, several more Supernode candidates, an interview with an exciting team called “AllianceBlock”, and updates from our family in the Philippines. Phew! Without further ado, let’s get into it. The consensus protocol has officially changed for Elastos. The ecosystem boasts a unique hybrid consensus mechanism: AuxPOW and DPoS. Now that merged mining is officially open to the public, two prominent BTC mining pools have started merged mining ELA: BTC.TOP and ViaBTC. Along with BTC.com, they make up three of the top 10 Bitcoin mining pools securing Elastos. The next major event was the incorporation of the CRC Supernodes. These 12 CRC nodes have officially started signing the blocks created by miners to ensure finality of Consensus. Once Participant Node elections conclude, there will be an additional 24 Supernodes helping the CRC Supernodes confirm and sign blocks. Merged Mining on Bitcoin and the 36 Active DPoS Supernodes, governed by the Cyber Republic community, creates a wholly dynamic and unique Consensus Mechanism. The issue of potential forking and malicious activity is very serious. When an arbitrator decides to sign two different blocks with the same height and view number–“This scenario would produce a fork because arbitrators should not be signing two different blocks at the same height and the same view number. This may be done with malicious intent in the hopes of producing a fork of the blockchain and all its sidechains. If one does this, evidence can be detected by every node in the network and the guilty arbitrator would be punished to the tune of 5,000 ELA, as this is a very serious issue.” The 5,000 ELA would not be returned to the Supernode and ideas such as burning the ELA or giving it to the CRC Fund are under consideration. There are also penalties for failed activity from an Arbitrator. If an on-duty arbitrator doesn’t send a block proposal for 1440 blocks (roughly 48 hours), the Supernode will be penalized 10% of their 5000 ELA. They will also be unable to participate in Supernode Elections for 7 days. If it happens again after their ban is lifted (7 days of ban plus 24 hours of a waiting period), there will be another 10% deducted until it reaches 4,000 and it will need to add an additional 1,000 to participate in Supernode Elections. The Elastos and CR Consensus Method’s strict rules ensure balanced and disciplined transaction flow that prevents Double Spending. KP’s article also talks about Elastos Sidechains and Arbitrators. Make sure to read it! Aside from his article, KP is always educating. He’s uploaded a Youtube video on the Elastos Private Net that explains how the Private Net has updated due to the new CRC Supernodes. KP points out the CRC Nodes on the Main Chain, Arbitrator Nodes, Side Chain Nodes, and others. He goes over the Main Chain Code and explains how each block is mined and how rewards are distributed in two minute intervals. There’s lots of content in the video about different sidechains and he also brings up a new Developer’s Workshop that he will be conducting bimonthly. These workshops will focus on interacting with the different Elastos components such as Elastos Carrier, Elastos Hive, main chain, DID sidechain, token sidechain and importantly, writing simple smart contracts on Ethereum and NEO sidechain. These workshops can be referred to as “Elastos Hello World” workshops because they are very beginner friendly so anyone who wants to start developing Apps in the future on the Elastos ecosystem is welcome to join as everything will be taught from scratch. The format of these workshops will be similar to a livestream and may be held on the Cyber Republic YouTube channel so developers are encouraged to join these workshops if they would like to start learning developing DApps on elastos from scratch. The Cyber Republic website has revamped its image and has a sleek new look. Before, the overall layout was a bit too focused on education without the design and style appeal to the average visitor. Now, it welcomes first time visitors first with the CR and Elastos logos. Beneath those are the tenets of Core Blockchain Development, Application SDKs/Developer APIs, Sidechain Integrations, Ecosystem Fund/Project Funding, Community Governance and DPoS Supernodes. These are the aspects of the CR Ecosystem that truly separates the CR from other projects. Through graphics and words, the Suggestion Process and how the community can contribute is explained, going through the CRC process of Suggestions into Proposals, which if accepted, is voted on again for Funding. The Suggestions layout has increased functionality as well, such as autotranslation options. The home page clearly explains what the Cyber Republic, CR Temporary Council, and its Constitution is all about. Developers, fans, investors and all other interested parties can now learn and participate in the CR Ecosystem even easier. Rong Chen recently interviewed with Crypto Insider and proved to be great content. Rong lays out the important features Elastos brings to the world: Security and Consumer/Enterprise dApps and creating a true Digital Asset economy. We all are believers in the new and smart web and look forward to its power, security, and endless possibilities. The Sword Range displayed in Figure 3 illustrates exactly how Delegates and Voters are rewarded, detailing percentages of DPoS ELA rewards given to Delegate and Voters in a clear and transparent way. The most beautiful part is that the Sword Range never changes its main structure; it only grows over time and ensures fair distribution of DPoS rewards between Delegate and Voters. To develop a better understanding of the possible outcomes of the Sword Method, take a look at table 1. This table presents potential outcomes for Delegates and Voters. Keep in mind that the results of the Voters must be seen as mean values. This is due to the fact that the Sword Method is multiplying the mean reward of 36 nodes. Overall strategy and wider indirect marketing. The DX Team optimizes the developer funnel for inbound leads with the ultimate goal of converting leads to the Dev Studio team. Gather developer feedback and address their concerns and experiences. Funnel interested leads (developers and companies) to the Dev Studio which will help them build on Elastos. Any leads from both DX and DS that are lost, uninterested, or not ready to develop on Elastos will be fed back to the DX team for retention and drip campaigns to keep them warm for future collaboration. Improve conversion rate and use data to provide the best developer experience possible. They’ve a focused plan to corral the best talent possible and a mission to recruit the best developers of all backgrounds, educate and train them, and ensure their services to build revolutionary and sustainable dApps on top of the Elastos platform. So who is the DX team? What specific steps are they taking to accomplish their goals? Rest assured that this motivated and determined team has the vision and dedication to cultivate adoption onto the Elastos infrastructure. You might call this team the “Dream team”. Donnie Bullers is the leader of the DX team. He will be responsible for overall strategy, operations, and technical marketing. Jimmy Lipham, a well known developer and active community member, will be tasked with guiding the developer experience and gauging levels of satisfaction. Martin Knight, a contributor to the CR News & Social Media team and regular designer for the EF, is currently heading up design and branding for the group. Kiran Pachhai, the Elastos Foundation’s Software Development Relations Manager, will be the team’s technical resource who will be working closely with DX to ensure both this team and Dev Studio are fully synchronized. This blend of experience, from the leadership from Donnie to the technical skills of Kiran and Jimmy and the branding talents of Martin, makes this team destined for success. What was once defined as the U.S. Team for the EF has now been strategically organized into three main groups: Dev Studio, Communications, and Developer Experience. The DX team, along with the aforementioned teams, are all funded by the EF. The DX team is optimistic in their approach and solutions. “As with any new team,” Donnie explains, “DX will face challenges gaining traction and acceptance in the developer community. Elastos currently has the advantage of being innovative, exciting, and open. However, these advantages will have little influence and traction without the active participation of developers. To combat these challenges, DX has put together a strong team and will be working in lock step with the Dev Studio team. This initiative has been in discussion since December and we are excited to execute on the DX strategy. “The DX Team will monitor developer experience and provide feedback to the Dev Studio Team. In Q2, we’ll perform a deep dive into Elastos users [developers]. Elastos needs the research to raise awareness about its business and competitive value in providing a great developer experience to drive adoption. Through creation of strategic documents and research, we will better understand the answers to questions such as, ‘Who wants to build on Elastos?’ ‘Are they building sample DApps, test DApps, or production DApps?’ ‘How do they get started building?’ ‘How should we prioritize parts of the experience?’ After the needs of developers are established, the DX Team will make the Elastos Experience as clear and easy as possible in order for them to be able and willing to start building.” There will be a constant back and forth between the DX and Dev Studio team, and it will certainly involve a lot of trial and error to determine the most ideal Developer Experience. The research and time spent on learning developer needs and their standards will lead to a seamless experience for these much needed assets. The DX team expects adoption of their developer tools around Q3 or Q4. The team believes that the open source nature of Elastos is very appealing to developers as getting code up-and-running quickly along with the opportunity to try something new and exciting are some of the best advantages of Elastos–especially when the entire Elastos code opens up to the public and the full activation of the Cyber Republic Consensus (CRC) is in play. Once the DX team successfully attracts developers to learn about Elastos technology, they must convert them. Donnie Bullers explains his strategy of conversion in more detail, “…once we are generating quality traffic, our focus will shift to converting people to customers. The primary indicator of success will be conversion rate with a secondary indicator of measurement similar to time-to-first ‘Hello World’. The DX Team will utilize a combination of qualitative and quantitative measures when analyzing developer conversion.” Data and process are key in this conversion stage. Every data point and every action in the process will be analyzed in order to perfect the conversion program. Having people on the team like Jimmy and Kiran with a wealth of developer knowledge will prove very valuable. They will play a big part in communicating with the developers, finding out what their wants and needs are, and properly relaying this information to the Elastos Dev Studio in order to modify its respective tools and development kits. In terms of retaining Developer services, the DX team has come up with a very sophisticated method. “Working together with the Dev Studio Team, we will support adoption and use of tools, an increase in volume of API Calls, pull requests, and Developer Satisfaction among other metrics. In order to define how Developers envision using Elastos, this will require strategies such as Usability Testing. One possible approach will be to engage with users of the GMU testbed and ask them to “think aloud” while using Elastos. The DX Team can also perform remote journaling studies with recruited developers who are getting started on Elastos to highlight key issues, backed up with solid and well documented research, to drive the technical marketing efforts of Elastos and support the direction of the Dev Studio Team.” This continuous cycle of improving the process and product, paired with the motivated and talented people on the DX team working with developers, will make DX’s vision of retaining developers on the Elastos platform come true. Ultimately, the DX team will drive traffic to the Elastos Development portal located on Elastos.org. The Elastos Foundation’s exciting transition of revamping the entire website was an instant hit with the community, but that was only the beginning. Donnie Bullers explains how the Development portal on the website will be crucial in its execution. “Several weeks ago we initiated the process of working towards a developer portal by updating www.elastos.org to better suit our target audience. This preparation of updating the main website was a critical first step to increasing the quality of developer traffic these many upcoming technical releases will produce. In addition to a website refresh, we have created a beta version of the developer website. It is a priority that we make this resource live as soon as possible, and through validation and research performed by the DX team, we will continuously monitor to ensure both conversion and retention rates are acceptable.” The easier it is to access the portal, learn from it, and use the tools, the more developers Elastos will acquire. As the full suite of Elastos tools is coming together, the DPoS Elections are underway very soon, and the Cyber Republic will fully launch in August, there are many catalysts in place to create an environment for Developers to utilize fully their time and skills to build a newer and brighter internet of the future. The EF has wisely realized the need to separate themselves from other projects in the space, which is why this fully-dedicated team exists solely to enhance Developer Experience. The time is nearing where onboarding fastest the best developers will make-or-break the future of Elastos and the Cyber Republic. While the DX team onboards talented developers, don’t forget that it is only together that we can make the Cyber Republic a global success. Cheers to us! We had a chance to sit down with Arkane, a new suggestion on the CR. As it is an “outside” project looking to integrate Elastos along with several other blockchain projects, we decided to ask some challenging questions about how Arkane supports the Cyber Republic and Elastos ecosystem, and who benefits most from the potential funding of Arkane. 1. First off, could you introduce yourself and your project? I’m Tim Dierckxsens, co-founder of Arkane Network. We met Kevin Zheng and Rong Chen last year at their hotel in Ghent, and we found that there were a lot of areas where we could work together and move Blockchain forward. This is our way to lower the barrier of entry for businesses to leverage Elastos. The problem we see with blockchain is the same issue with the Internet in the 1990s. Because it’s abstract and difficult to understand, it takes a long time before it gains adoption. More services are needed to make blockchain useful and sensible for business to adopt the technology. Arkane tackles the complexity of implementing/integrating blockchain into businesses and simplifies the onboarding for their users. 2. What is the project and, out of the gate, what would you like to clarify about the project? Many people think we are a wallet company, but this is not completely true. We offer wallets as a service to connect existing systems with blockchain technology. By using Arkane, a current business would not need to learn how to code blockchain, but can use the Arkane Documentation and API to develop a blockchain-based solution quite similarly to how they’d develop a traditional application today. 3. What problem does this solve that something like nano ledger doesn’t already solve? If the only purpose of Arkane is to make it easy to develop wallets for different blockchains, ledger is already doing this and it’s a hardware wallet at that, which is totally secure. The problem isn’t creating hardware wallets for users to store their cryptocurrencies. Let’s take a game studio as an example. A game developer wants to develop a blockchain-based game where he can allow his users to play, earn rewards, and be the owner of their digital assets. Currently, games that use blockchain assume that the user has a wallet and a browser plugin to interact with the game already installed. This is not a user friendly solution to onboard new people who are not yet into crypto. Arkane is making the customer journey a pleasant experience and allows the business to focus on building the game for their gamers while we take on the complexity of communicating with the blockchain. By using Arkane, the blockchain becomes completely transparent for users. 4. The suggestion says that developers get a single API for everything, but does this mean a single API talks to every single connected blockchain in the Arkane network? If so, that’s a massive endeavour and Arkane will need to constantly update their APIs because the more blockchains Arkane supports, the more costly it is to maintain such an enormous development effort. A developer gets one client ID, and with that, he can start integrating with one or more blockchains. We indeed take the effort to offer a single API to communicate to the supported blockchains. The APIs don’t change because of changes in the supported blockchains since this would cause too much overhead for the applications that integrate Arkane. We catch these changes in our backend. Fortunately the blockchains don’t change that fast, so our development efforts to keep supporting a blockchain is quite low once it is integrated. 5. Who is the primary target of this project? Who would benefit from this should the project get funded by the CR? If it’s just benefiting the Arkane network, that would be something very hard for the Council to agree on as it would provide no direct benefit to Elastos ecosystem itself. If there is a direct benefit to Elastos and the CR, what is it? The primary target of Arkane are the businesses looking to leverage blockchain platforms. They don’t have the know-how and can’t imagine integrating blockchain services in the first place. We support each blockchain community and provide our value-added services to benefit the blockchain community and businesses looking to develop applications on top of that specific blockchain. By integrating Elastos into Arkane, current and new applications could easily build on Elastos, offering Elastos wallets to their users in a user friendly manner and with the possibility to recover lost private keys. A secondary advantage that Arkane offers to the supported blockchains is that we run two nodes of each chain. This makes the supported blockchains more decentralised and safer. 6. Is this decentralized, then? You say you’ll provide an API for ease of use, but there isn’t mention whether the connection of all these blockchains will be done with some sort of centralized arbitrator (managed by Arkane). Would these arbitrators be decentralized, too? If you’re decentralized, how does it differ from other DEX solutions? First of all, Arkane is not a DEX, our goal is not to make it possible to swap tokens. We store the private key of our users in such a way that we cannot access the keys without the consent of the users. The user needs to enter his PIN when signing a transaction and only at that time we can access the private key to sign that specific transaction. Every wallet has the option to be recoverable. For a recoverable wallet, we also store a share of the private key in cold storage so that we can recover the user’s private key when he forgot his PIN. We experienced the need for this as in our first month live, we already had 20 requests to recover private keys. If we were unable to do this, the user’s funds and NFT’s would have been lost. Arkane offers the user the possibility to choose the balance between more decentralised but less convenient, and less decentralised but more convenient. 7. As you said, it seems as if you’re partly decentralized and partly centralized. Because you can help users recover their private key, this also means you have access to the private keys, and even with the claim that you can’t do it without the user’s pin–how can that be verified? Do you have additional thoughts for the crypto community that would be concerned by such a prospect? 8. You sound like something between the recently funded Elastos Orchard, and a user-friendly wallet. Your website seems to focus on the wallet rather than the business integration side, so is this aspect of your business a new development? Are you familiar with the Elastos Orchard project? What can you provide that is different from the Elastos Orchard project, or could you see a cooperation? Regarding our website, we’ve chosen to put the highest priority in making the technical documentation as clear as possible but we should indeed add more use cases and emphasis on what can be achieved by using our business services. Regarding Elastos Orchard- I understand the project is to bring more awareness in Europe regarding blockchain and more specifically Elastos in Europe. Their services are more tailored to businesses development, business strategy, and networking, and in that respect, bring more insight to those businesses. Arkane is offering software as a service and it can be seen as an integration partner to those businesses to leverage the Elastos blockchain. So yes it can be perfectly possible to cooperate with Elastos Orchard as our services would be highly complementary. 9. What is you/your team’s background and qualifications? What makes your project the best to achieve the suggestion that you’ve made? What successes do you already have? As a team of 7 individuals, we’ve been working together as IT consultants for enterprises before becoming entrepreneurs. Between the team we have 60+ years of experience in developing enterprise-grade software, and to that respect we have a number of blockchain applications live. Arkane is already live and can support a number of blockchain ecosystems, and our goal is to help the best ecosystems grow. 10. There was a question earlier about how this benefits Elastos and CR specifically. Based on your answer, it sounds like you are seeking a number of blockchains to come onto Arkane. So why does this benefit Elastos specifically if this is such a broad project? Do you already have a large user-base and business leverage that we should know about? Essentially, since there are already several wallets and wallets with the goal to be user-friendly (Elephant wallet, DMA, Ledger) already on Elastos, why would Arkane provide anything different than what is being pursued already? Essentially, how would you justify the CR funding Arkane, rather than Arkane paying for Elastos integration support, or at the very least a mutually beneficial cooperation between two seperate companies? Elastos pays Arkane to develop the integration in-house. Elastos posts a bounty for their community to develop the integration. We’ve already seen 4 cases where one of our community members started developing the integration between a blockchain and Arkane. The main reason why we do not pay to implement a blockchain ourselves is because we want to support a vibrant blockchain community where there would be an active interest to develop Elastos by using our services. We are confident that we are providing value to both the blockchain network and enterprises. The question you need to ask is: How would a business integrate Elastos? Which services do they need to provide users to make their application user-friendly? By using Arkane, it would be easier for a business to develop Elastos dApps and offer a pleasant user experience for their users. The wallet-as-a-service is more important for the business than the consumer. Thank you for your time, Tim. As there are many terms to such a large project like Elastos and the Cyber Republic, we’ve decided to build a growing glossary of terms that can help the less technically acquainted understand better what the tech means and the impact it could have. This week we’re focusing on Elastos’ Auxiliary Proof of Work, also known as Merged Mining. “…Auxiliary Proof-of-Work is the relationship between two blockchains where one trusts the other’s work and accepts AuxPOW blocks…For the parent chain, there is almost no difference between a block mined the regular way and a block mined as part of a merged coin mining process. That’s why there is no need to modify the code of the daemon (also called full-node, or client) of the parent blockchain. For the auxiliary chain, a block mined the normal way (i.e a regular block) will be accepted with the original code. However, a block mined as a part of a merged coin mining process (i.e a modified block) will require a modification of the code of the AUX daemon. Proof of Work is notoriously inefficient. Mining difficulty increases or decreased to average a certain block generation rate, no matter how many miners are working. Thus, that extra mining work (electricity and computing power) is being “wasted”, anyway. Merged Mining allows the work being done to apply to more than one chain, and thus, secure more than one chain without extra cost of power or electricity. A 51% attack is when someone buys enough machines to take over a network–kind of like a corrupted democratic election. With less miner hash power (in less-popular blockchains), it is easier to corrupt the system. Merged mining takes advantage of a larger network, like Bitcoin’s network in Elastos’ case, and teams up with it so that it’s harder to take over the blockchain. The benefits are that Elastos becomes much safer to 51% attacks, as safe as Bitcoin’s network, computing power and electricity is better utilized, profitability for miners is increased, there’s no disadvantage to the parent chain (Bitcoin) as there’s no extra work added, and there’s less competition in having to choose to mine one blockchain vs another. The negatives are that it helps major mining pools get even stronger and increasing centralization because regular people or smaller mining pools can’t compete with the larger mining pools’ hardware. Elastos doesn’t suffer from these negatives because it has created a hybrid model of AuxPoW+DPoS, which was covered in last week’s Technical Terminology and makes the Consensus Supernodes finalize blocks. They are now recruiting 24 node candidates (up to 30 in the case of a large applicant pool, down from the original 36) and voters. ELAlliance is not an exclusive alliance, meaning that node candidates of ELAlliance can also be members of other alliances as long as they comply with the rules set by ELAlliance. The reason for the reduction of the number of node candidates is that it allows voters to vote for 12 candidates outside the Alliance while casting all 24 votes to the those inside the Alliance to enjoy the greatest rewards. They hope to be flexible for both candidates and voters to join the ELAlliance whose aims are to benefit ELA holders who cannot obtain reward directly from the DPoS elections and prevent the potential dominance of whales. Currently there are 22 node candidates filled, and community members are invited to apply. They have recently release their website (in Chinese) and will have the English version very soon. A number of supernode candidates have come together to form International Decentralized Elastos Alliance. Due to concerns about over-centralization by the “Chinese Alliance”, they hope to be an example of full decentralization. At the moment, the countries represented are: Scandinavia (Elastos Scandinavia), France (Orion), Russia (Northern Lights), US (Houston and Starfish), Italy (Vitruvian Node), Austria-US-Morocco-New Zealand-England-Germany-Belgium (Enter Elastos Node), and France-US-Canada (Wild Strawberries Node). Newly joined to the IDEA are these Supernodes: Elastos Telegram Founder, Tyro Lee, the Hyper Team, Elate.CH, and the team from AllianceBlock. This Alliance believes that the perfect DPoS network is when there is distribution of nodes in at least five continents and twenty countries, which they will try to guarantee as an alliance. They want to establish that they have nothing against the Chinese Alliance. Any node, Chinese or otherwise (as seen by the newly joined Supernodes), that is against centralization is also welcome to join. “The Starfish Supernode is a group of 5 members from the U.S. and the U.K. who support the vision of Elastos and are eager to be a cog in the upcoming smart web. Our pool members have backgrounds in information technology, engineering, product innovation and management, system administration, and digital forensics. Over time, we hope to mature into a trusted entity within the Elastos ecosystem. “We chose the starfish as our logo as it embodies a decentralized network. Much like the open system proposed by the Cyber Republic, a starfish has no head and therefore no central point of control. Instead, a starfish’s organs are duplicated in each arm. If a starfish is bisected, it will regenerate into two starfish. “The system can be altered, but not destroyed. It is in this manner that we believe Elastos can survive and thrive. Much like the starfish, our slogan, ‘Strength in distribution’, encapsulates all we stand for. Accordingly, the members of the pool have agreed to limit our organization to a single supernode in an effort to spread the network consensus duties amongst as many independent parties as possible. The team plans to run a two to three server configuration on a major cloud provider (AWS, Azure, Vultr, etc.) with a migration plan in place in the event of extraordinary circumstances such as corporate or government censorship. Alliance Block will be hosting their Supernode via AWS Cloud. The team is composed of four people, three of which have experience working at companies such as Barclays, JP Morgan, and PostNP. After ELA is used to cast votes, will the corresponding ELA remains part of the circulation? How long are the coins “locked” after they have been used to vote with? Yinghao Jia, CEO of HashFuture, shared on Huobi Chat on 30 March. He talked about how HashFuture will support the Elastos ecosystem in the future. Jia said that in addition to promoting Elastos on his own products, HashFuture will also utilize Elastos DID to help users to access their products. Moreover, HachFuture’s blockchain assets will be integrated with Elastos community. Cooperation will be found in the aspects of payment, security and identity. The public chain technology connects the digital world and the physical world, allowing more users to enjoy the convenience and value brought by the blockchain technology. Currently, LianBaoWu, a HashFuture’s product, has enabled global real estate investment with crypto–specifically, with ELA. Programmers, Developers Group, in partnership with Microsoft, Kalasag, and Nicolei Games, held their 8th meetup in a whole day event on March 23, 2019, at Microsoft’s offices in Makati. Featuring expert speakers, the event attracted over a hundred young developers, many fresh out of school in search of career paths. Elastos Philippines is happy to have been invited to participate in this event and Mr. Alex Timbol delivered a short introduction to blockchain and Elastos technology, including skill prerequisites to build on elastos. We invited participants to sign up to the Cyber Republic and explore development on the blockchain. It’s uncommon that we stumble upon a group with large collection of talent yet undiscovered by other tech sponsors, so Elastos Philippines plans to increase engagement with this group and level up sponsorship, provide food, refreshments, and an expert speaker on Elastos development for future events. Our efforts to increase awareness of Elastos are paying off in invitations to participate in private developer events not easily accessible to mainstream companies. What is AllianceBlock and what real-world problems are they solving? AllianceBlock is establishing the Investment Bank of the Future. By leveraging cutting-edge technology, we collapse all departments of an investment bank into one flat platform, and provide SMEs with cheap, quick, and smart access to regulated tokenized equity and/or debt financing. Investment bank operations are inefficient, costly, and constricted by legacy technology, operating systems, and business models. The financing and settlement process (bond and share issuance) is long, expensive, and complex, involving more than 10 departments in a bank and around 50 people. SMEs are considered high risk, low return clients and it is more difficult and more expensive to access capital (fees up to 11% for an IPO). Investor access to the best deals are not objective and highly dependent on their network. Crowdfunding and crowdlending offer SMEs an alternative to traditional banks, however there is no advisory, no secondary liquidity, no rating, and the failure rate stands at 75%. ICOs were the most recent form of alternative funding, focusing on startups. They have high barrier to entry, lack safety and transparency (10% of ICO funds were stolen in 2017, some $600m), and have a 66% failure rate. Banks rate investors on the total revenues they generate. During an IPO or a bond issuance, the banker is at the center of the equation and will show the deals to the clients who pay them the most, annually, making it hard for Tier 2 and Tier 3 institutions to participate early (and at the best price) in the best deals. AllianceBlock integrates all the parts of the current financing model that investment banks use (Syndicate, Advisory, Research, Trading, Sales, Rating etc…) into ONE unique platform. It leverages blockchain technology to provide a safe, transparent, and cheap platform to issue regulated shares and bonds. The platform is AI-powered. This enables a fair, robust, and unbiased rating of investment opportunities and investors, with fast, seamless, and constant communication between them. With no intermediary, companies and investor interests are aligned. Active Investors are constantly incentivized and they can gain influence, followers, and rewards. Please introduce the team members. How did you all meet? Which companies have you worked with in the past? Rachid started investing in ICOs in 2017. A lover of logic, he was surprised at how tedious, cloudy, and unsafe ICOs were. He began thinking of a way to make it simple, secure, and transparent. As his reputation grew in the crypto community, he was admitted to private groups on Telegram where savvy investors discussed the viability and feasibility of ICOs before making investments. This is where he met Matthijs in March 2018, and they started discussing the idea of an all-in-one secure platform that would leverage the knowledge of the crypto community and AI to make better and safer ICO investment decisions. Rachid and Amber have been friends for more than 4 years. When Amber was a bonds trader, she couldn’t help but realize the complexity and cost of the issuance process, even more so for SMEs. She saw a tremendous opportunity in streamlining an otherwise tedious, long, and expensive process, and she started thinking about a solution to disrupt the traditional financing model. It was around this time that Rachid and Matthijs contacted her to discuss their project. The more they discussed the idea, the more it became clear that by merging their vision and experience they could build a unique platform to truly disrupt financing. By August, 2018, they all quit their jobs, and AllianceBlock was born. Rachid started his career as a quant in charge of building default probability and credit risk models for private and public companies, first at BNP Paribas Paris and later at Barclays London. He then switched to be part of the exotic commodities quantitative team at Barclays London. In 2017, he completed the building and deployment of a highly scalable deep-learning model in artificial intelligence applied to computer vision. His impressive work received accolades from VINCI which commissioned him to help orchestrate the ambitious “smart highways and smart cities” project that combined AI and Blockchain. Rachid is a venture partner at Alpha Omega Capital focusing on AI startups. He is also part of the Elastos Orchard; its ambition is to become The European Business Development hub for Elastos. He holds an engineering degree in Computer Science and Signal Processing, and a Masters degree in Probability Theory, Stochastic Process and Quantitative Finance. Previous to AllianceBlock, Amber was a bonds trader at JP Morgan London where she held various leadership positions. Amber started her career in Global Investment Research at Goldman Sachs, London, and moved from there to the Cross Asset Solution team at JP Morgan, London, in 2012, where she worked on structured and exotic products across Equities, FX, Rates, Credit, and Commodities. She then spearheaded the Macro Systematic Strategies effort at JP Morgan London, focusing on dynamic risk premia trading strategies. Amber is the mastermind behind participative capitalism and has been invited to world class events to give speeches on the subject. She sits on the advisory board of ODEM, a top 5 blockchain project of 2018 focusing on decentralized education. Amber holds a B.Sc in Science & Technology, Three Masters (Neurosciences, Microelectronics & Nanotechnologies, and International Business) and a PhD in Molecular Medicine. She is a graduate of McGill Canada and HEC Paris. Matthijs has managed the product development of one of the largest Dutch companies: PostNL. There, he headed several departments, lead an entire software development chain, and built a payment infrastructure before switching companies to lead the development of several unique AI products amongst which was a groundbreaking chatbot. He has an extensive background as a software developer and has developed a full blown workflow management suite and analytical algorithm in the field of veterinary diagnostics, among various other projects, before growing into a managerial role. Besides hands-on software development experience and management, Matthijs has founded and managed three other companies, thereby gaining plenty of entrepreneurial experience in the process. How does AllianceBlock separate itself from other Blockchain-based Investment Banking projects in the space and why should people use this platform rather than the traditional systems in place? First, compared to traditional Tier 2 and Tier 3 investment banks, we offer lower fees, faster processes, and milestone-based financing. Access to deals is transparent and mathematical rather than relationship-based (investment banks show the best deals to clients who pay them the most in fees). Second, when compared to crowdfunding and crowdlending, AllianceBlock offers end-to-end issuance for both shares and bonds, regulated equity and bond offerings, secondary trading and advisory through a collective intelligence framework. AllianceBlock has been giving updates on a serverless architecture called Lamda. First of all can you please explain to the community what a serverless architecture is and can you elaborate on why this is best for the platform? A serverless architecture allows the execution of focused tasks (micro services) without allocating resources (servers) beforehand. This enables an extremely scalable architecture where resources are provided when needed. Ultimately, this means that when tens of thousands of users on the platform perform the same request, simultaneously, the tasks that are executed will be automatically run on as many servers as is needed until all tasks are completed in about the same time it would take if only a single user triggered the task’s execution. In November of last year, AllianceBlock came out with its MVP, showcasing features such as: investing in listed project, swapping tokens, and interacting with other members, amongst other features. What else will be implemented on the platform in future updates? Integration of a community module, platform wide, that focuses on working together in sub-communities (ie Telegram or Discord groups). Existing communities can migrate easily to AllianceBlock so they can keep working together with the people they know while having the correct and secure tools at their disposal, making collaboration on projects and due diligence easier, more accessible, and more enjoyable. Milestone-based financing allows for a live fundraiser for a company to be given funds in a smart contract that is locked in tranches based on pre-agreed milestones. The company initially receives the first tranche, but to receive the second tranche it will need to show a pre-agreed upon deliverable in which the investors would vote. If the investors agree that the company delivered what it was supposed to, the second tranche is released. This allows for continuous monitoring, decreasing the rate of failure and increasing investor returns. If the milestone is not achieved, a second chance is given to the project, however another failure to deliver will imply that the investors will receive back the rest of their investments, therefore minimizing total losses. Issuance of both tokenized equity and tokenized bonds. AllianceBlock will provide secondary liquidity not only through its local exchange, but also through listings on various crypto and non-crypto exchanges. Furthermore, investors will have a digital identity (KYC/AML) where we leverage blockchain technology to create an encrypted identity which can only be decrypted by its owner. The investor will then share his unique digital identity with the various corporates looking to raise funds, significantly decreasing costs of due diligence. The track & trace feature allows investors to study and replicate investments of the highest rated investors. Investments for now are only in cryptocurrency, but soon, investments will be accepted in EUR/GBP/USD and CHF. AllianceBlock’s Investor onboarding strategy is set to attract over $500mn of SME-ready capital by H2 2021 from crowdfunding alone, and over $2bn including institutional clients. This makes it one of the largest smart crowdfunding communities in the world. How does the platform plan on attracting all this capital in 2 years? What steps are AllianceBlock taking in order for this strategy to be properly executed? AllianceBlock’s management and advisory team has spent most of their careers in Tier 1 banks as asset managers. The team’s network of clients runs true and deep. Once the platform is in place, many of their previous clients will join, attracted by lower fees, transparency, and access to a unique investment offering. Additionally, the team will be hiring some of their ex-colleagues specializing in investor relationships and SME coverage. Can you explain your partnership with Quant Network and how this relates to building on top of Elastos? The new partnership, announced on December 20th, allows AllianceBlock to offer Quant Network’s Overledger solution to blockchain and non-blockchain companies. Overledger is the world’s first blockchain operating system (OS) that not only connects blockchains to one another but also connects existing networks to blockchain and facilitates the creation of internet scale multi-chain applications, otherwise known as mApps. AllianceBlock strongly believes that in the near future, Overledger can support Elastos as a sidechain, but also, Overledger can be used on Elastos Carrier in order to make interoperability easier. One of the applications is multi-chain DEX. How did you first learn about Cyber Republic and Elastos? What attracted you the ecosystem and technology? What services does AllianceBlock plan to adopt with Elastos? Rachid has been following Elastos since its public sale. He strongly believes in the smart web and in a true decentralised internet which Elastos will bring to the world. Elastos can and must be part of the new economy. Taking this into account, AllianceBlock can use Elastos to build all of its KYC/AML and digital identity features. Most assets can and will be digitalized, and if AllianceBlock can create a security token standard that will then be validated by the Elastos community and approved by the various financial regulators, AllianceBlock will then be able to process end-to-end issuance of equity shares and bonds using Elastos main chain and sidechains. Additionally, secondary market and multi-chain token swaps can be built on Elastos, as well as the milestone-based financing. AllianceBlock wants to integrate Elastos into its platforms as a cornerstone of its ecosystem. How does AllianceBlock plan on incorporating with the Cyber Republic? Are there any community-focused projects? Do you plan on creating a suggestion on the Cyber Republic website in order to further fund the project in the ecosystem? AllianceBlock wants to bring awareness about Elastos and be a business development arm by developing some features on Elastos, but AllianceBlock also wants to help projects implement their ideas/strategies on Elastos, thereby increasing Elastos and Cyber Republic’s overall visibility and global reach. AllianceBlock banking ecosystem is community-driven. All the projects that are listed on the platform need to be vetted by the community. The community would share its feedback and insight about the project (startup or/and SMEs), and then, by leveraging AI and Collective Intelligence, the project could receive a rating that would highlight its feasibility, viability, and profitability of the project. The higher the rating is, the higher the probability of success. AllianceBlock is not planning to create a suggestion on the Cyber Republic, yet.